At last, the roster is complete. Bellator is now rolling out its eight-man bracket with the latest inclusion of Alexey Oleinik. 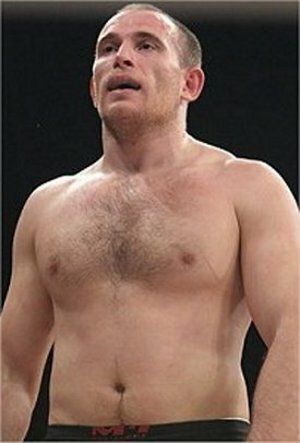 The final list of fighters in the first heavyweight tournament on Bellator includes: Eddie Sanchez, Cole Konrad, Damian Grabowski, Mike Hayes, Scott Barrett, Neil Grove, Rogent Lloret and Alexey Oleinik (pictured). The latest enlistment of Oleinik Thursday finalized the roster. The season opener Bellator 24 showcased the first heavyweight bout between Grove and Sanchez on Thursday (update: Grove defeated Sanchez). * Alexey Oleinik, who is fighting out of Russia’s Red Devil Sports Club, has gained expertise in sambo and can execute a dangerous hell choke. * UFC veteran Eddie Sanchez has accumulated four-time winning streak after going out of the UFC. * Cole Konrad has two collegiate title records to boot, plus a UFC heavyweight champion of a training partner in Brock Lesnar. * Polish Damian Grabowski sets an undefeated 12-0 record in the sport. * Mike Hayes debuted triumphantly in his matchup against Steven Banks in Bellator last June. * Scott Barrett also celebrated a victorious Bellator debut through a first-round TKO against Ty Lee. * UK’s Neil Grove is a one-time UFC fighter and a Cage Rage professional. * Rogent Lloret is an undefeated M-1 Challenge veteran since July 2007.